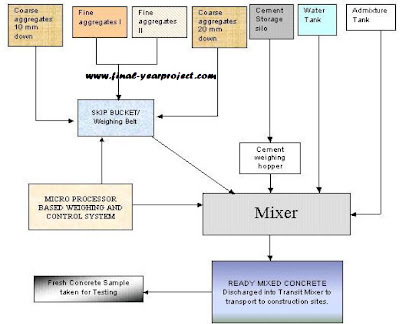 This is a diploma Civil engineering project report on "Ready Mix Concrete" for construction technology students. This report is submitted for the fulfillment of the syllabus of the subject “Entrepreneurship Development & Project” of the final year of Diploma in Construction. Ready-mix concrete (RMC) is a ready-to-use material, with predetermined mixture of cement, sand, aggregates and water. RMC is a type of concrete manufactured in a factory according to a set recipe or as per specifications of the customer, at a centrally located batching plant. You can also Subscribe to FINAL YEAR PROJECT'S by Email for more such projects and seminar. 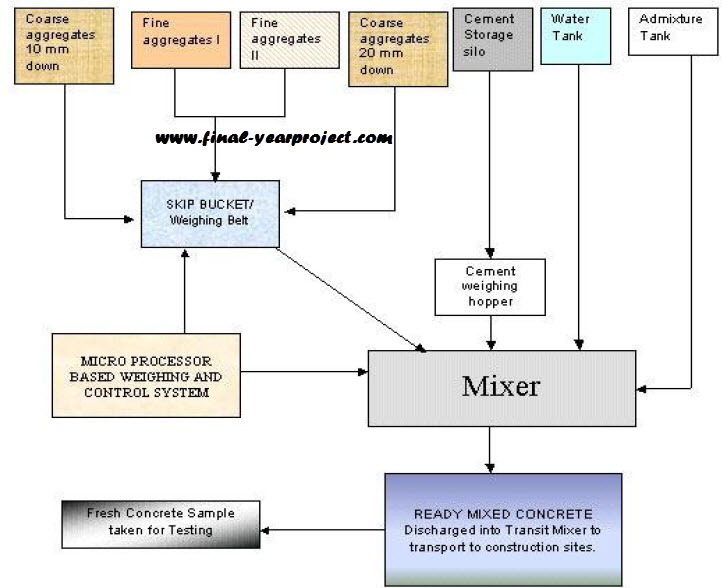 This project report covers topic like scope of Ready Mix Concrete (RMC), material required for R. M. C., equipment Required, mixing process, test, merits and demerits, etc. Use this project report for your reference and study work.